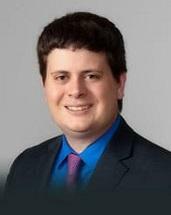 Andrew T. Shupp is an associate with the firm of Hoeppner Wagner & Evans LLP. After his graduation from Indiana University Robert H. McKinney School of Law, Andrew practiced insurance defense litigation in Northwest Indiana. Subsequently, Andrew joined Hoeppner Wagner & Evans LLP, practicing in the areas of civil litigation, commercial litigation, and employment law.